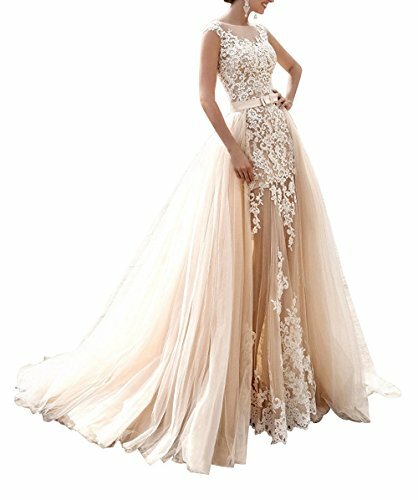 This Homdor Women Ivory Lace Appliques High Low Wedding Dresses A Line Bridal Gown Style will never be out of fashion, your must choice for Evening Party,Wedding,Ball and Formal Occasions. • Please don't soak the dress in water for a long time. NOTICE: Before order, please carefully read the LEFT Size Chart Picture (Not the Amazon size chart).if you can't confirm your size,please contact us by Amazon E-mail,you can send your measurements to us. (Bust,Waist,Hip,Hollow to Floor,Hollow to Keen,Heel Height),we will help you to choose fit size. The dress produce time needs around 5-9 working days,the shipping time need 1-3 working days,if you need it for hurry,please let me know the deadline you need it,we will expedited produce the dress for you,you can get it faster. If you have any questions about this product by Homdor, contact us by completing and submitting the form below. If you are looking for a specif part number, please include it with your message.